With soft faux leather upholstery and a wooden base, this one seater recliner will add luxury to any sitting room and comes complete with a footstool. The Malcolm Recliner and Stool is a luxurious single seater recliner armchair, upholstered in faux leather with a wooden base for a classic and stylish look. 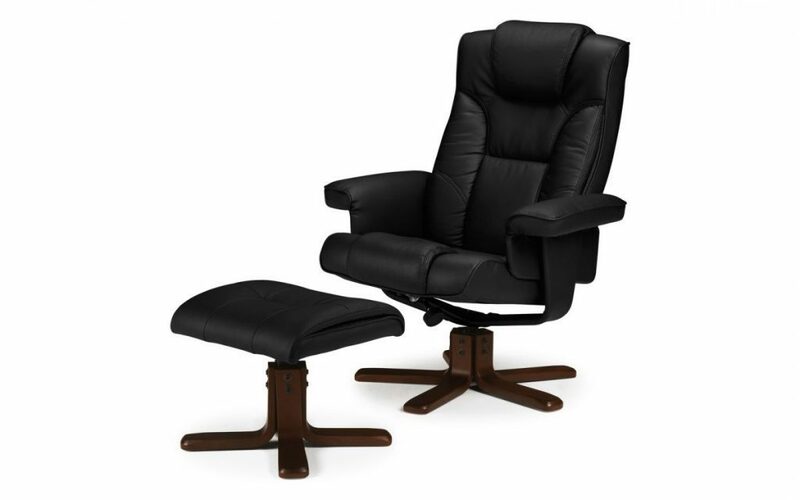 This reclining chair has a high padded back with head cushion and armrests for a sumptuous feel, while a matching sturdy and comfortable faux leather footstool allows you to rest your feet while you relax back. Delivery on this item is FREE for England and wales only, Scotland customers please contact us for a price. Covered Steel Framework & Faux Leather.